Ocean Villas #507 Reduced by $70,000! One of the most pristine and private properties available at the luxurious condo community, Ocean Villas, has just become a little more affordable. This stunning unit offers some of the best views on the beach from a sprawling balcony, while providing nearly 2,500 square feet of lavish living area inside. 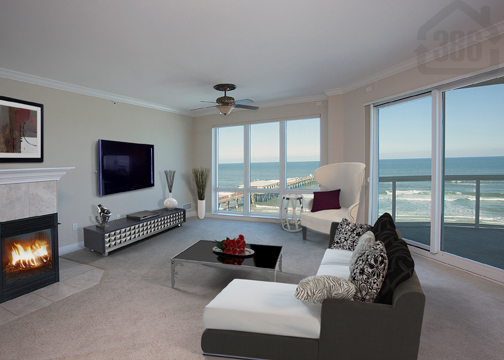 Wall to wall windows allow for breathtaking ocean views from nearly every room of this spacious condo, which overlooks the popular Sunglow Pier. At Ocean Villas you will enjoy a resort-like lifestyle bolstered by semi-private elevators, an Infinity Edge Pool, Mediterranean garden, lavish clubhouse, oceanfront fitness facility and much more. Call Kevin today at 386-527-8577 to schedule a showing of this true steal before it is gone!